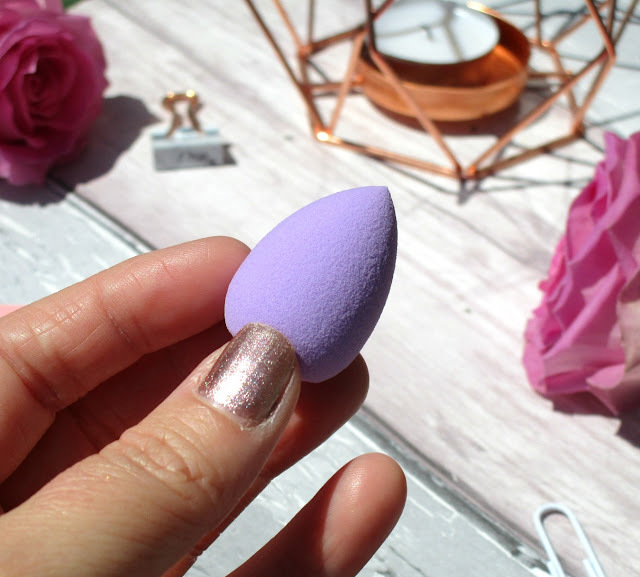 My favourite way to apply my foundation and concealer is a trusty makeup sponge, I've probably been using sponges for a good couple of years now and haven't really gravitated back to a foundation brush at all. I've tried so many sponges in all shapes and sizes and most of them I've really enjoy using so when I saw Brush Works Complexion & Contouring Kit my 'makeup sponge addict' senses got very excited and I couldn't wait to give the kit a whirl. The Brush Works HD Complexion and Contouring Kit* contains three, high quality beauty sponges all of which are made from hydrophilic material and are latex free. Each sponge has been specially designed and shaped so that we can get many uses out of each one, of course for best results they are all to be used damp but you can also use the sponges dry too. What I love about all three of the sponges within this kit is that once their all damp they really do expand well and go so soft and bouncy, I love the pretty girly colours all the sponges come in too. 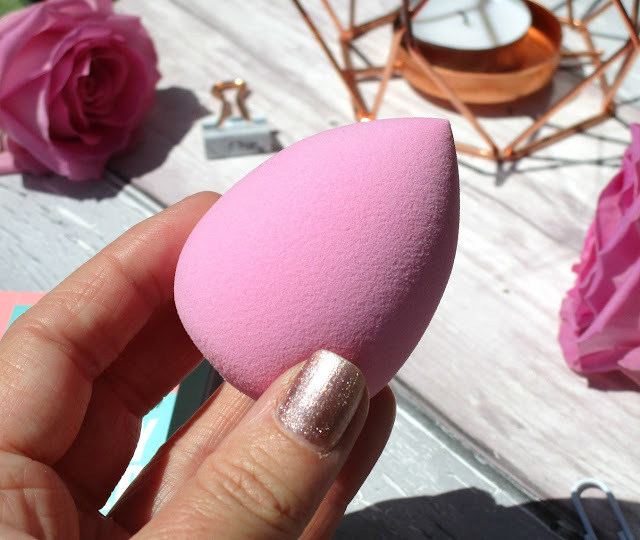 My favourite and most used sponge out of the Complexion & Contouring Kit is the baby pink large egg shaped sponge, this reminds me most of the popular beauty blender and I have to say it works an absolute dream. It so soft and bouncy and bounces in my foundation so flawlessly within seconds, and because it has such a handy pointed tip I can really get into the inner corners of my eyes and around my nose with ease. 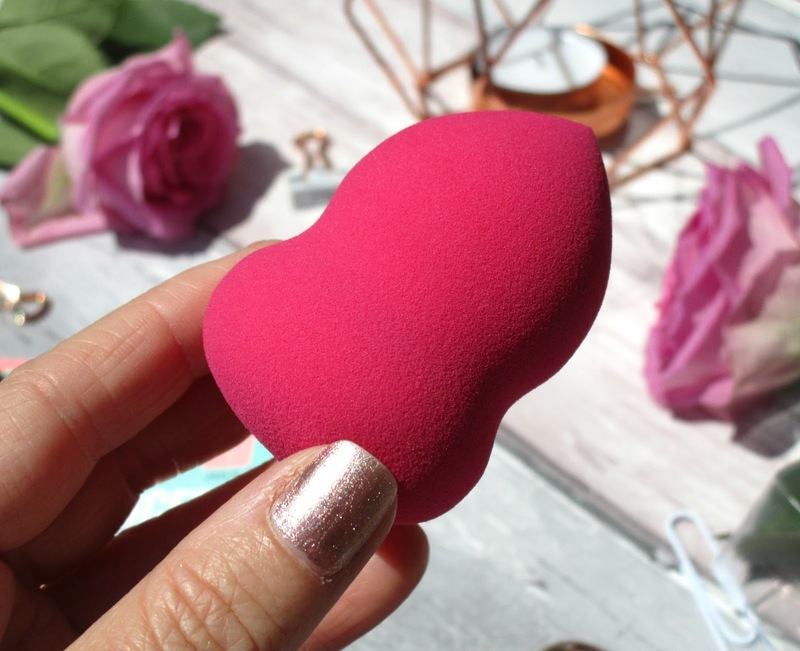 The dark pink hourglass shapes sponge is a tiny bit firmer than the baby pink sponge but it still feels lovely against the skin and isn't hard in the slightest, this one is specially designed to contour and define however it does blend in foundation and concealer beautifully too. If you do like to cream contour and cream highlight this sponge is super useful, the pointed tip can stripe on the colour then you can use the sponge on it's side to blend and defuse any harsh lines, I love it. Finally the Complexion & Contouring Kit is completed with a miniature sized lilac sponge which I have to say is a must for concealer application, honestly my concealer has never looked so flawless until I used this mini sponge, it's shape fits around the contours of my eyes perfectly and it's great for pin point concealing blemishes too. Overall I absolutely love these sponges by Brush Works, this little kit has certainly been a hit with me. All three of the sponges are soft and bouncy, blend everything quickly and flawlessly and never cake up any of my base makeup even when layering up different product's whether it be liquid or powder. Their really affordable too at just £11.99 for the three which works out just £3.99 per sponge, what a beauty bargain! I honestly cant think of anything bad to say here, their lovely sponges and perform just as well as some of the more expensive sponges I've used! You can find the Brush Works HD Complexion & Contouring Kit on the face.co.uk website for £11.99 HERE. 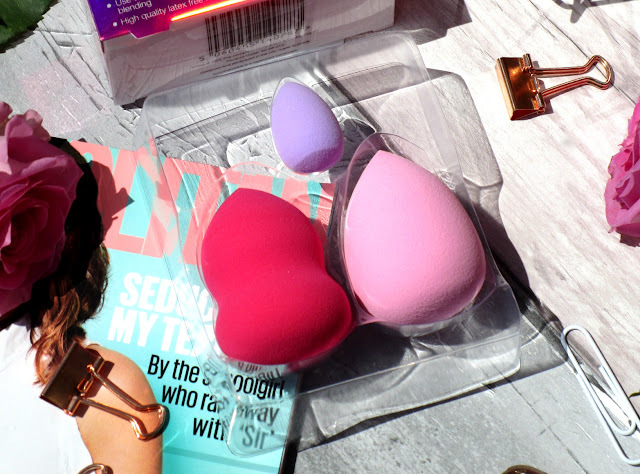 Face.co.uk also offer FREE 1st class delivery which is super handy if your in a pinch and need some new makeup sponges pronto he he! World Duty Free Top Picks! Tanya Burr Lipstick in Pink Cocoa Reviewed! Girls With Attitude Rainbow Brushes Reviewed!